Test your memory with Nina And Other Little Things. In a time where everything old is new again, there are a few childhood games that never went out of fashion in the first place and one of them is a firm favourite in our family – the game of concentration. Regardless of what you call it – concentration or memory, the concept remains the same of matching pairs. These little morsels of screen printed goodness from Italian brand Nina And Other Little Things are just the ticket to get your children started with playing and building those puzzle solving skills. 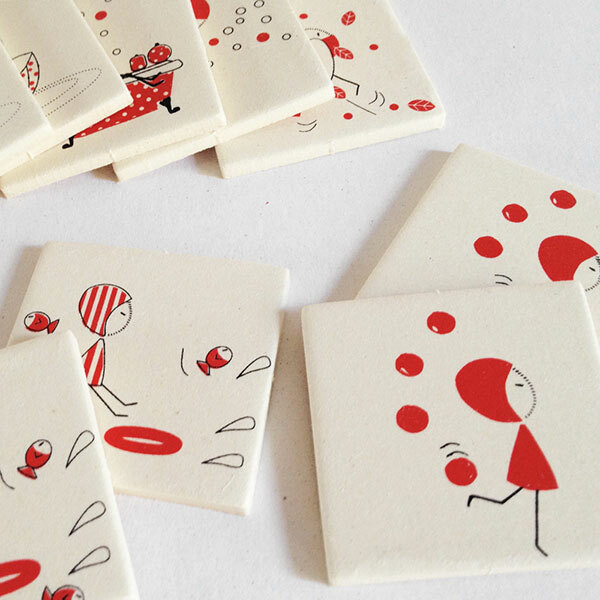 The set of Memory Cards includes twelve pairs of darling little red and black illustrations. 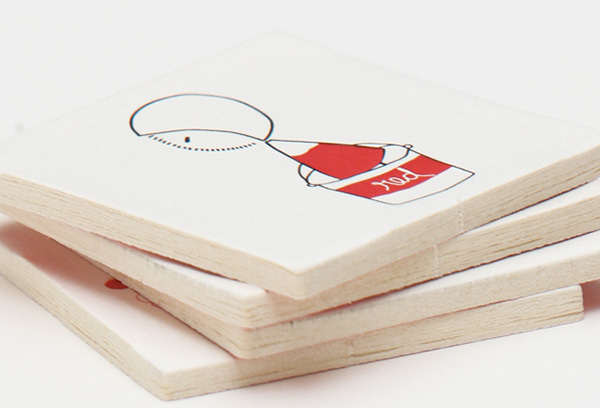 Printed on small cards made from thick and sturdy cardboard, they’re just the size for small hands to handle. You can buy Memory Cards (priced €18) and peruse the rest of the gorgeous screen printed collection at Nina And Other Little Things.